Do you enjoy working with computers? Do you find the idea of solving puzzles to be exhilarating? Do you want to help people get introduced to the world of computers? If so, perhaps a Service Desk Analyst will be a perfect fit for you. Follow SIAT student, Michael Sandrin, in his first occupational adventure: working as a Service Desk Analyst for the First Nations Health Authority (FNHA). The Aboriginal Entrance Scholarship is definitely worth all its cracked up to be. 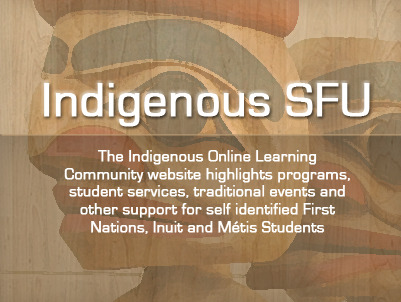 The Faculty of Education has just hired the first professor to be recruited under SFU’s Aboriginal Faculty Recruitment Plan.